I use the same vintage mixer! I don't have the juicer attachment, but love the bowls. Ah! I just love that you were thinking of buying a new mixer but then remembered your Grandmother's - only to have it exceed expectations. It's so cool that you can use hers and that it's still performing beautifully after all of these years. I am hunting down myself a mixer now~thanks for inspiring me! It will certaintly be the first "big" thing I buy for my new country cottage. 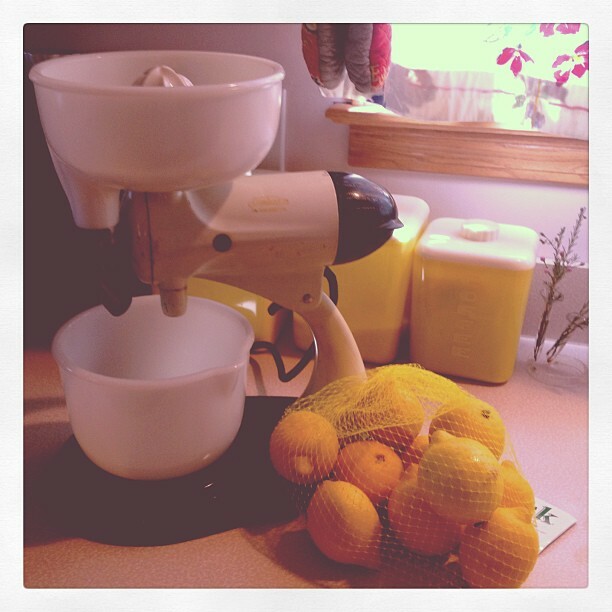 I have that same mixer (my husband's grandmothers) and use it for everything. I have never used the reamer tho- will have to try it sometime. It's not the greatest with heavy dough, like bread and cookies, but for everything else it's fine. I have been adding accessories as I find them- found the large jadeite bowl not too long ago. Your Sunbeam is wonderful! 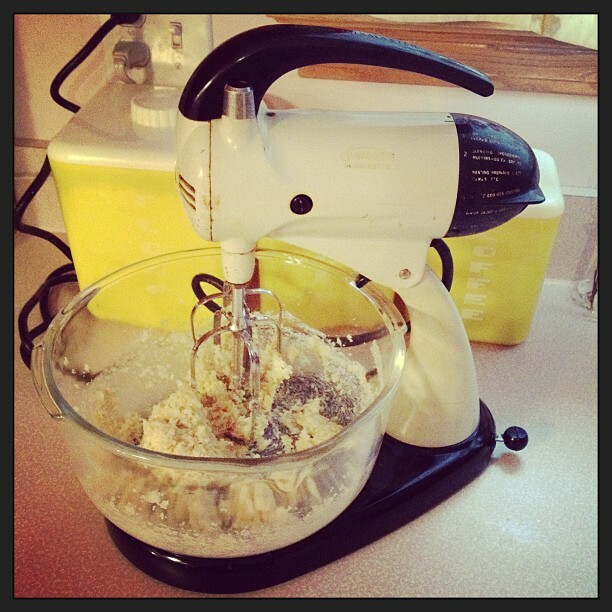 I have my Grandmothers Hamilton Beach mixer that HER MOTHER bought for her in 1946! I had to rewire the electric cord, but other than that it works like a champ! That sure brings back some memories for me.....xoxox.